Enjoy New Orleans’ Garden District at its finest with a private local tour guide. On the Private Garden District Walking Tour, we will explore Lafayette Cemetery #1 as well as learn about many of the grandiose 1800s mansions throughout the area. The Garden District is one of the most picturesque neighborhoods in America, and we will have a fun, relaxing, and engaging stroll through the streets as we immerse ourselves in the history and architecture of the historic district. Tour will last a total of approximately 1.5 hours. We will meet at the entrance to Lafayette Cemetery at 1400 Washington Avenue. First, we will make a visit into Lafayette Cemetery #1, made famous from countless movies and television shows. In the cemetery we will learn about the unique burial practices of South Louisiana. Next, we will stop by stunning historic homes such as Colonel Short’s Villa, Toby’s Corner, McGehee House, and Buckner Mansion. 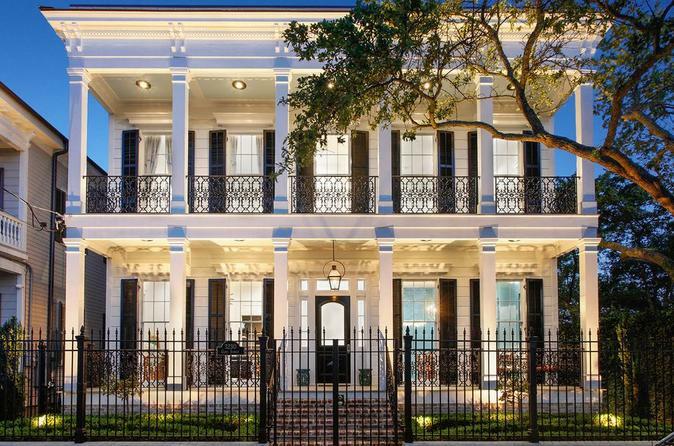 Additionally, we will check out sites from popular culture including the Manning House, the Anne Rice Home, and the Benjamin Button House. Your tour is led by company owner, Ashton, who loves spending his time introducing people to the wonders of the Crescent City. The tour will last a total of approximately 1.5 hours.